Hertron International is very engaged with the community. Whether it’s memberships in business groups or setting up booths at local expos. 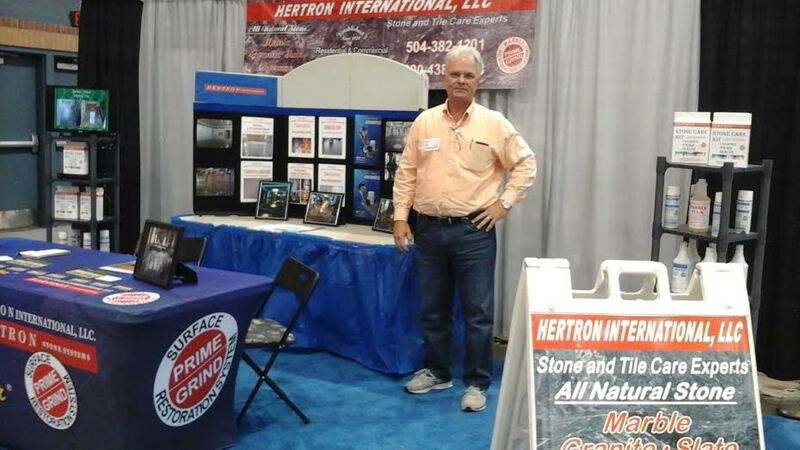 Hertron International wants you to know that they are out there, educating the public on how they can help. One of those ways that they educate people is by letting them know that they can sometimes save a great deal of money. Instead of replacing flooring, concrete, or counter tops, a great method is to just refinish it. That’s where Hertron comes in to play. Hertron has done commercial work all over the world, too, as a matter of fact. Huge, well known companies call on them to jazz up their buildings. Residential and commercial properties are right up their alley- so to speak. Homeowners love them because they bring the homeowner’s floors, patios and counter tops back to life. Lastly, Hertron has developed their own line of cleaning and polishing products. These aren’t just any run of the mill products at that! These products are time and people tested! These products are perfect for maintaining your flooring and counter tops after the refinishing process, giving you a longer lasting effect!